Essentially they wonder what will he do? Benedict XVI emphasized that the Christ we encounter in the Sacrament of the Eucharist "is the one and same Christ present in the Eucharistic bread all over the world. This means we can encounter Him only together with everyone else. We can only receive Him in unity." "The consequence of this is clear," he went on, "we cannot communicate with the Lord if we do not communicate with one another. ... For this it is necessary to learn the great lesson of forgiveness: do not let resentment gnaw at the soul, but open your hearts to the magnanimity of listening to others." The Holy Father pointed out how in the Sacrament of the Eucharist "the Lord is always moving towards the world. This universal aspect of the Eucharistic presence is apparent in the procession of our feast today. We bring Christ, present in the form of the bread, along the streets of our city. We entrust these streets, these houses, our daily lives, to His goodness. May our streets be Jesus' streets! May our houses be for Him and with Him! May our daily lives be penetrated by His presence. With this gesture we place the suffering of the sick, the solitude of the young and the old, temptations and fears, all our lives, under His gaze. This procession seeks to be a great and public blessing for our city. Christ in person is the divine blessing for the world - may the rays of His blessing extend over us all." Not Catholic and the allegations in Ohio come from a woman who has been murdered. In Ohio, not too far from Steubenville down a long winding road. I visited there a few years ago, Cardinal Arinze will be there in July. Who claim they were attacked first...doesn't seem like (from the story) that the priest is refuting their claim. Perhaps someone reading this knows more. I do not know the priest, but actually do know almost everyone he mentions which makes it interesting to me. A few present themselves in a way that probably would make it hard for them to defend themselves against a jury. Thank God for Improved Screening of Candidates for the Priesthood! Threatens Archbishop Levada, an auxiliary bishop and his pastor...also had the guns to carry out the threat! I had a friend (a priest) who was a big gun enthusiast and used to say that he thought the church had preached the gospel long enough and it was time to start "enforcing it", saying this as he waved a gun in the air. As most of you probably know Pope Benedict is just reading Pope John Paul's undelivered Wednesday addresses but every week he usually stops in the middle and delivers a line or two of his own. In off-the-cuff remarks, the Pope then added that "Christ was the first martyr, and gave His own life in a context of hatred and falsehood; yet He transformed His passion into 'Eucharist' that is 'joy and salvation'." Phil Spector standing trial for murder. Must be attorney's way of making the jury think he's nuts or he just is. Accepted the resignation from the pastoral care of the diocese of Kansas City-Saint Joseph, U.S.A., presented by Bishop Raymond James Boland in accordance with Canon 401, para. 2 of the Code of Canon Law. He is succeeded by Coadjutor Bishop Robert W. Finn. I see a problem here. Taking a vow of poverty before they enter should help them to pay off their debts...it would seem anyway. "Overcoming personal debt a problem for many aspiring religious"
Check out Crux News for what it might have been and for what it is. Answer to the question is posted in the comments. Calls to mind Trinity Sunday, those receiving their First Communion, Eucharistic Congress openning today in Italy and the importance of Sunday in the life of a Christian. "In particular, each parish is called to rediscover the beauty of Sunday, the day of the Lord, when Christ’s disciples renewed in the Eucharist their communion with Him who gives sense to the joys and fatigues of each day. “Without Sunday we cannot live”: this is what the first Christians declared, even at the cost of their life, and this is what we are called to repeat ourselves today." Avoid the temptation of discouragement. Bishop says it shows them the church is bigger than just "their church." Pope looks on...Austria Decorates Monsignor Ratzinger (it is his brother). Finally and not surprisingly I would guess Bishop Franklin of the same diocese has just turned 75 and wants out...Quad-City Times Newspaper Online - the Quad-Cities Home Page. I'm guessing that for him the Holy Father's acceptance can't come soon enough. Amy has a funnier shot of the pope seated on a throne in the middle of the crowd watching the film. John Paul's secretary is right behind the pope in this picture. Drudge has the pictures at his DRUDGE REPORT . One has to wonder what genius thought this would be a good thing for the military to release. Forget about Newsweeks' blunder, how many people will be killed because of this? The Holy Father accepted the resignation from the office of auxiliary of the diocese of Pittsburgh, U.S.A., presented by Bishop William J. Winter, upon having reached the age limit. This would clearly be missed by the secular media's radar but wouldn't it be interesting if others start resigning early? I have said all along from reading the Pope's writings that liturgy would be his main focus and I think this will bear out. From a faith perspective I see all of this as the fruition of the Year of the Eucharist declared by Pope John Paul II. I believe the synod of Bishops to be held this year will bear much long lasting good fruit that we all will experience first hand in our parish churches in the near future. I've been reading this book, "The How-To Book of the Mass" by Michael Dubruiel which details the celebration. I'm really into the book (although only about 1/3 of the way through). I was so excited to go to Mass today to apply what I learned. 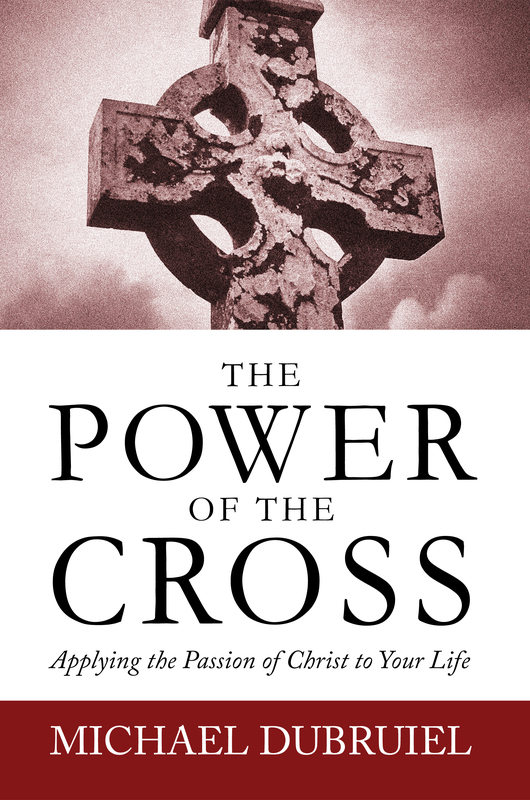 The book talks about everything from the doors to how much prayer we actually do during the Mass. It has really been interesting. At the beginning of the general audience, celebrated in a rain-soaked St. Peter's Square, the Pope recalled that today "our beloved Pope John Paul II would have been 85. We are certain that he is watching us from on high and that he is with us. We wish to give thanks to the Lord for the gift of this great Pope, and for everything he did and suffered." - Fr. Clarence Silva of the clergy of the diocese of Oakland, U.S.A., vicar general, as bishop of Honolulu (area 16,660, population 1,244,898, Catholics 234,588, priests 157, permanent deacons 51, religious 361), U.S.A. The bishop-elect was born in Honolulu in 1949 and ordained a priest in 1975. - Msgr. Kevin W. Vann of the clergy of the diocese of Springfield in Illinois, U.S.A., episcopal vicar for the clergy and pastor of the parish of the Blessed Sacrament, as coadjutor bishop of Fort Worth (area 62,007, population 2,770,961, Catholics 400,501, priests 115, permanent deacons 74, religious 160), U.S.A. The bishop-elect was born in Springfield in 1951, and ordained a priest in 1981. "He bids us follow his example: Seek the things that are above, he says, which is only another way of saying: “Keep your eyes on Christ”." Speaking about Blessed Marianne Cope, he recalled how "in 1862 she entered the Congregation of the Franciscan Sisters of Syracuse where she imbibed the particular spirituality of St. Francis of Assisi, dedicating herself wholeheartedly to spiritual and corporal works of mercy." After explaining how Mother Cope accepted an invitation from the bishop of Honolulu, Hawaii, to work among lepers, Benedict XVI affirmed: "For 35 years, until her death in 1918, our new Blessed dedicated her life to the love and service of lepers on the islands of Maui and Molokai." "Undoubtedly the generosity of Mother Marianne was, humanly speaking, exemplary," said the Pope. "Good intentions and selflessness alone, however, do not adequately explain her vocation. It is only the perspective of faith which enables us to understand her witness - as a Christian and as a religious - to that sacrificial love which reaches its fullness in Jesus Christ. All that she achieved was inspired by her personal love of the Lord which she in turn expressed through her love of those abandoned and rejected by society in a most wretched way." "Please be generous! Stock up your family Catholic library and/or send a contribution to our Mission Fund and help us get books out to the poor who cannot afford them, and in the process get TAN past this perilous and frightening crisis! I am sure God will richly reward you for your generosity. Please . . . today . . . send us your largest possible book purchase and/or the most generous donation you possibly can to our Mission Program! And I pledge we shall use your funds to the optimum to keep TAN running and to keep reaching out with the knowledge of the Faith to many others, as we have been doing in the past. May God bless you most richly and abundantly for whatever you may do, and please keep us in your prayers! "On this day of Pentecost, the pope underlined especially the notion of mission. Benedict XVI forcefully called on the Church to “unceasingly open those borders which we men continue to set up between us: we must always move away from Babel, from withdrawal into ourselves, to Pentecost”. “We continually close our doors; we always want to keep ourselves safe, not to be disturbed by others and by God”. But the greeting that the Lord extends to us, “peace be with you”, is “a bridge he lays down between heaven and earth” and “on this bridge, always together with him, we too must reach our neighbour, he who needs us”. The Church – “new people of God which comes from all nations” – must continually become what she already is: she must open borders to peoples and breach barriers between classes and races. In this there can be none who are forgotten or despised.”"
'When one is there, there is no place for 'lobbies,' or pressure groups, or the likes, or any of that! 'What you see, when 115 persons of different races and cultures are in agreement on the fourth ballot, is that the Holy Spirit acts. One did not vote for someone one liked, or of a similar culture; it was the Spirit.' "
Pope Benedict XVI named San Francisco Archbishop William Levada as the Vatican's chief orthodoxy watchdog Friday, tapping an American conservative to fill one of the most powerful church offices, the Congregation for the Doctrine of the Faith. Before his election as pope, Benedict held the office for more than 23 years, gaining a reputation as a hard-liner in defending church teaching. Levada, a 68-year-old theologian, is the first American to hold the post, which is the highest position to be held by an American at the Vatican. Levada joined the Congregation for the Doctrine of the Faith in 1976 and served for six years, leaving shortly after when Cardinal Joseph Ratzinger took over as prefect in 1981. He returned as one of the five bishops on the congregation in 2000. Levada has served as archbishop of San Francisco since 1995; before that, he was archbishop of another largely liberal American city, Portland, Oregon. - Accepted the resignation from the office of auxiliary of the diocese of Brooklyn, U.S.A., presented by Bishop Joseph M. Sullivan, upon having reached the age limit. - Appointed Frs. Joseph J. Tyson, pastor of the parishes of St. Edward, St. George and St. Paul, and Eusebio L. Elizondo M.Sp.S, pastor of the parish of St. Elizabeth Ann Seton, as auxiliaries of the archdiocese of Seattle (area 64,269, population 4,755,500, Catholics 904,000, priests 313, permanent deacons 98, religious 585), U.S.A. Bishop-elect Tyson was born at Moses Lake, U.S.A., in 1957 and ordained a priest in 1989. Bishop-elect Elizondo was born in Victoria, Mexico, in 1954 and ordained a priest in 1984. Plus Birmingham's Foley's resignation accepted without replacement. - Accepted the resignation from the pastoral care of the diocese of Birmingham, U.S.A., presented by Bishop David E. Foley, upon having reached the age limit. - Appointed Msgr. Denis James Madden, adjunct secretary general of the Catholic Near East Welfare Association of New York, as auxiliary bishop of the archdiocese of Baltimore (area 12,430, population 3,006,607, Catholics 506,587, priests 574, permanent deacons 183, religious 1,426), U.S.A. The bishop-elect was born in Carbondale, U.S.A., in 1940 and ordained a priest in 1967. "Bremer, a Catholic, told graduates that their generation would fight Islamic extremism the way their fathers fought communism. " "Forget about whether Pope Benedict XVI will soften his attitude toward the role of women in the church or discover a more pastoral approach to homosexuals or heed the pleas of manpower-poor bishops for an experiment with married priests. For many Catholics, there is only one question about the new pope's intentions: Will he turn the altars around?" both pro and con, and con again. as long as I set the far extremes. It’s all within the fold. But now it’s not the thing for me. far from my mean of gold." Today, the feast of the Ascension of Our Lord to heaven is being celebrated in many countries, among them Italy. In this feast, the Christian community is invited to turn its gaze towards he who, 40 days after his resurrection, to the amazement of his apostles, “was lifted up while they were looking on and a cloud received him out of their sight” (Acts 1,9). We are therefore called to renew our faith in Jesus, the only true anchor of salvation for all men. Ascending to heaven, he reopened the way towards our ultimate homeland; that is paradise. Now, with the power of His Spirit, he sustains us in the daily pilgrimage on earth. This Sunday, World Communications Day is being celebrated with the theme, “the Communications Media: at the Service of Understanding between Peoples”. In this current age of images, the mass media effectively constitutes an extraordinary resource to promote solidarity and comprehension among the human family. We saw extraordinary proof of this recently, on the occasion of the death and solemn funeral rites of my much-loved predecessor, John Paul II. Everything depends, however, on the way in which they are used. These important tools of communication can foster reciprocal awareness and dialogue, or else the contrary, they can feed prejudice and contempt among individuals and peoples; they can contribute to spreading peace or to fomenting violence. This is why it is always necessary to appeal to a sense of personal responsibility; it is necessary that all do their part to assure objectivity, respect for human dignity and care for the common good in all forms of communication. In this way, one contributes to pulling down the walls of hostility which still separate mankind and chains of friendship and love, which are signs of the Kingdom of God in history, may be consolidated. Let us return to the Christian mystery of the Ascension. After the Lord was taken up to heaven, the disciples gathered in prayer in the Cenacle with the mother of Jesus (cfr Acts 1,14); together they invoked the Holy Spirit, who would have filled them with strength to testify to the risen Christ (cfr Lk 24,49; Acts 1,8). In these days, all Christian communities, united in the Most Holy Virgin, relive this unique spiritual experience in preparation for the feast of Pentecost. We too turn now to Maria with the hymn of the Regina Caeli, calling for her protection on the Church and especially on all those who dedicate themselves to the work of evangelisation through means of social communications." "Paradigm Trading Cards (http://www.paradigmtradingcards.com) today announced their release - 'A New Pope' - a special, limited edition trading card set celebrating the life of Pope Benedict XVI. This set follows the highly successful release of a set for Pope John Paul II. Each of the 20 trading cards in the set chronicles 'The New Pope's' early years, life in the church and the first few days as Pope. 'The New Pope trading cards are a response to our customers. Both our retail outlets and our customers have been asking for Benedict XVI trading cards since the day we released our Pope John Paul II set,' said Mark Currier, President of Paradigm Trading Cards. 'People around the world want to learn more about Benedict XVI. What better way could there be for young people to learn about the new Pope. Trading cards have been educational in nature since they where first produced.'" A man was arrested for allegedly scrawling 'Big Lie' over a stain on an expressway underpass that some believed was an image of the Virgin Mary. Authorities then painted over the stain because it had been defaced, police spokesman David Banks said Friday. Authorities charged Victor Gonzalez, 37, of Chicago with criminal damage to state supported property, a misdemeanor. Witnesses had seen him painting the image, Banks said. A telephone listing for Gonzalez could not immediately be found. Zingales is a professor of entrepreneurship and finance at the University of Chicago Graduate School of Business. In the 2004, he and Raghuram G. Rajan published in the United States an essay that drew a great deal of attention: 'Saving Capitalism from Capitalists.' "
"Santo Subito-Sainthood Now" -- Santo Subito Wristbands,Rubber bracelets honoring Pope John Paul II. "In light of Friday's release of Ridley Scott's new film about the Crusades, Kingdom of Heaven, Denver's Archbishop Charles Chaput is challenging Christians to reclaim their lost memories. In his weekly column, the Archbishop chided the loss of Christian identity and history from the American and European culture, and noted the new film, which, as the New York Times puts it, portrays Muslims as "bent on coexistence until Christian extremists ruin everything." He said that, "By influencing our choices here and now, memory encourages a certain shape to the future--and discourages others. That's why every new ideology and generation of social engineers seeks to rewrite the past. Whoever controls the memory of a culture also has power over its future." scrubbed out of America's future"
"In his efforts to make events at the Vatican less "Pope-centered", Pope Benedict XVI has decided that he will not preside at beatifications, reported the Honolulu Advertiser. In effect, the Vatican is returning to the tradition of having cardinals--not the Pope--preside over beatifications. The news came in relation to the beatification of American Mother Marianne Cope, which was rescheduled by the Vatican to May 15." "People long perceived the holiness of Pope John Paul II, but 'we must wait for the official declaration' by the Church in the cause of canonization, says a Vatican official. Cardinal Jose Saraiva Martins, prefect of the Congregation for Sainthood Causes, is happily surprised by the popular acclamation of John Paul II's sanctity, heard during the April 8 papal funeral with cries of 'santo subito' (sainthood now!). 'However,' the cardinal added, 'the dispensation does not affect the process as such, which doesn't change.' "
According to his brother, although there is a picture of him at a brewery late in the 90's with a rather large glass of beer in hand. "Cardinal Ratzinger was hospitalised twice in the 1990s, once after a brain haemorrhage and later after slipping in the bath and cutting his head. Fr Ratzinger said his 78-year-old brother had had to give up drinking beer. He added: 'I had hoped that the not quite so stable health of my brother might have moved the cardinals to elect someone considerably younger than him.'" His brother had a clear sense of his destiny early on in life, Fr Ratzinger said. As a toddler, after a cardinal's visit to his kindergarten Joseph pronounced: "Some day I will also be a cardinal." Professor David Parker, Professor of New Testament Textual Criticism and Paleography at the University of Birmingham, thinks that 616, although less memorable than 666, is the original. He said: 'This is an example of gematria, where numbers are based on the numerical values of letters in people's names. Early Christians would use numbers to hide the identity of people who they were attacking: 616 refers to the Emperor Caligula.'" Father Benedict Groeschel visits his seminary. Interestingly the place where he did his novitiate, fairly close to where I work was also sold and bought by another denomination. "The other day I visited the old seminary I had attended as a Capuchin. Because of the loss of vocations the large building on the banks of the Hudson in Garrison, New York, had been closed and later sold. It is now a Buddhist retreat house, and the staff treated me with friendliness and courtesy. It was the occasion of great sadness, however, when I saw in the place where the Blessed Sacrament had once been reserved a large and imposing statue of Buddha. I have no hostility to the Buddhist religion. Buddha himself tried to lead people to peace; more than anything else he was an ethical philosopher. Buddhists have made him into something of a god, although that term does not fit too well. The statue certainly showed a serious artistic attempt to portray divinity. What saddened me greatly was that the presence of Our Lord Jesus Christ in the Eucharist was gone. When the Capuchin friars sold the seminary, the building was supposed to be converted into condominiums. The new owner was not able to do that, however, and resold the property to the Buddhist retreat movement. This is a sad commentary on the fact that in the last thirty or forty years Catholics in the United States have 'dropped the ball,' if I may put it that way. There may be many excuses and reasons, but history will judge that we did not do well with the vibrant faith we received from our forebears. It is time to get on with the Church's work, that is, the work Christ gives us as Catholics. It is time to renew religious education, Catholic life, and the observance of the Gospel. It is time for every Catholic who has his or her wits about them to become as fervent a Christian as possible. " Happy Easter to the Orthodox! "Pope Benedict XVI has given his first traditional Sunday blessing to the faithful from the same apartment window used by his predecessor. St Peter's square was packed with tens of thousands of pilgrims, who the Pope addressed in Italian and Spanish. He also wished Orthodox Christians a happy Easter, and mentioned the need to promote Christian unity in the world. In delivering his blessing on May Day, Benedict XVI also called for worker's rights to be respected. 'I address you, my very dear brothers and sisters, for the first time from this window that the beloved figure of my predecessor made familiar to countless people in the entire world,' he said."